The logic announced a few months back by council boss Mr Dougherty via Mayor Guru that council water pipes (of all types) were suddenly worth more and therefore more depreciation expense could be applied to them as an excuse for bumping up the rates received a lot of (mostly negative) comment. 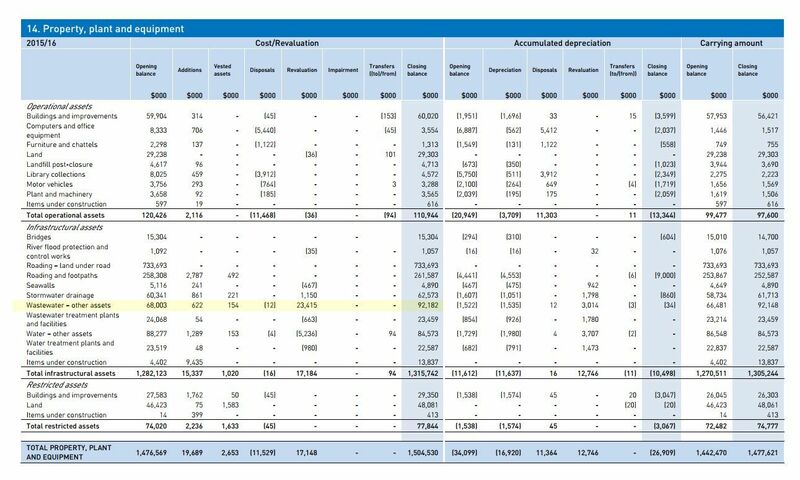 These two tables in the council annual report on pages 108/109 give the figures for both the year ended 30 June 2017 (first table) and for the previous year (second table). The substantial revaluation of pipes actually took place in the previous 2015/2016 year — the accountants waved their magic wands and, hey presto, ‘stormwater drainage’ and ‘wastewater – other assets’ were suddenly worth an impressive $24,595,000 extra. Er, yeah? The depreciation you can legitimately apply to a road is fairly limited. Yes, the surface deteriorates, but not the unimproved site value. 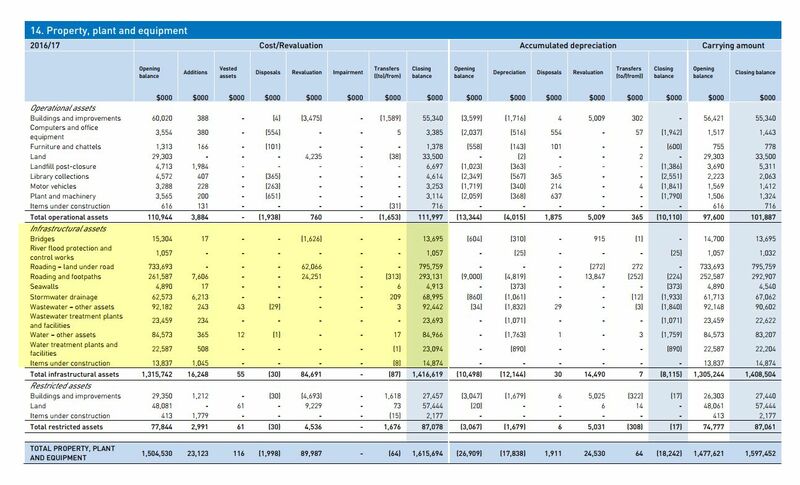 These figures can not have been legitimately applied to the old SH1 (the Main Road) as it has still not been vested in the KCDC by the NZTA. The main reason for these revaluations, of course, is to show a bigger underlying asset base to match with the ever-increasing borrowing.